Yesterday I wrote a poem called the ‘Glow of Slow’. I had been intending to write something else when I sat down with pen and paper, but the phrase came to mind, and I wanted to play with it. I think that it was front of mind because the days have been glowing recently. When the sun comes out in autumn in England, and shines behind the yellowing leaves on the trees, and shines through the bare branches where the leaves have already fallen, there is no other word that can describe it than glow. And it makes you glow inside. There is a softness in the quality of light at this time of year, that is very different to the brightness of summer sun. It is a softening into winter, and it is a slowing down. 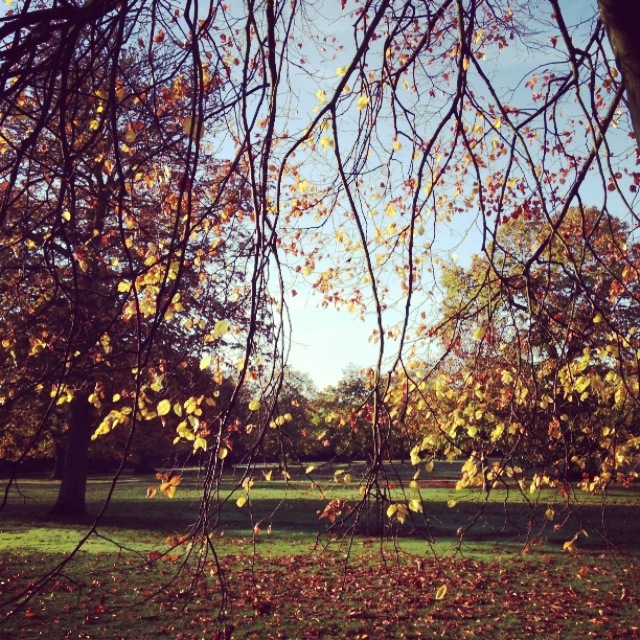 Autumn is a time of slowing down in nature as preparations are made for winter. Even amongst busy, urban lives there is often a desire for a corresponding slow down, but our jobs require us to keep going at the same pace (or in many cases even faster in the run-up to Christmas). I will seek to keep this glow of slow with me as I travel through my busy days. As my husband said to me this morning, “Slow is in here”, pointing at his forehead. It is also in our hearts, and our way of looking at the world. “What we see is what we look for”. This is so true. It is true on the obvious level that it is maybe not so obvious as I only saw this clearly the other day – if I see trees and nature, that is because I have chosen to go to the park. I can then choose what I see there as well. So I can choose to see slowly, or I can choose to see fast, which perhaps equates to not seeing at all. Seeing slowly. Apparently in an art gallery the median time spent looking at a painting is 17 seconds. Another study found that the average viewer looks at a painting for less than two seconds, spends ten seconds reading the text on the wall, looks at the painting again and then moves on. When was the last time you stopped and looked at a tree? When was the last time that I stopped to look at a tree? Properly. Probably when I had a camera in my hand. 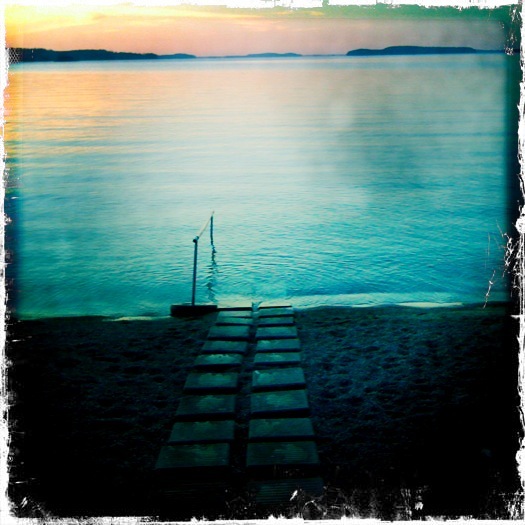 That is what I like about photography. I remember when I went to Morocco that my camera stopped working at some point because of all the sand. And I missed taking pictures because I wouldn’t have the record of what I was seeing – but I also missed the act of framing what I was seeing, which helped to me to focus on and process what I was seeing rather than just walk on by. Intentional seeing. That is an area to explore. Miksang is a Tibetan word meaning ‘good eye’ and it has lent its name to the contemplative art of photography, which is about true perception and true expression. Maybe this is where slow comes in – as a way of leading to true seeing. This entry was posted in Uncategorized on November 17, 2013 by Olivia. Icelanders have a long history of telling stories. The Sagas of the Icelanders are widely seen as a forerunner of the modern European novel, written in the thirteenth and fourteenth centuries, and telling the stories of farmers as well as warriors and kings. Icelanders have storytelling in the blood – apparently one in ten will write a book during the course of their lifetime. On my recent trip to Iceland with Super/Collider, I didn’t experience Icelandic storytelling first hand, but I did get a strong sense of a distinctive Icelandic tone of voice. It is a tone of voice which is direct, but playful in its directness. 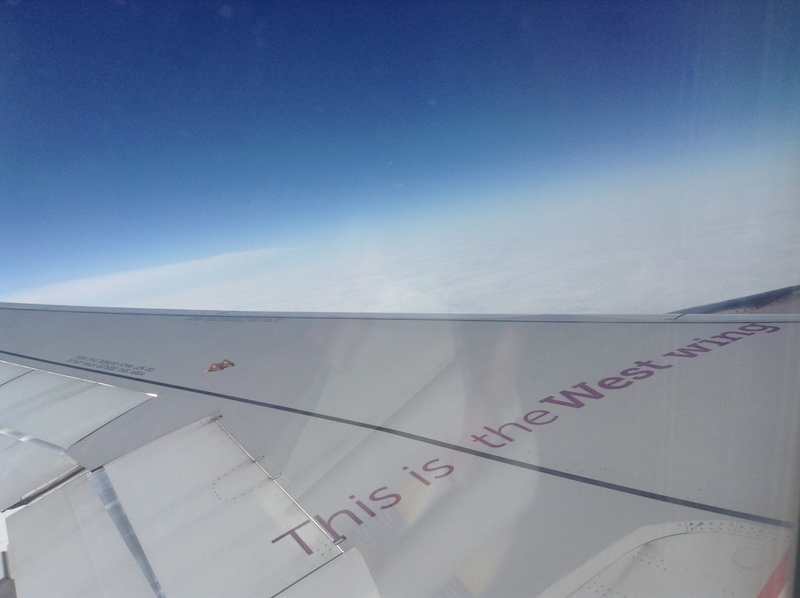 On the wing of the Wow Air plane, was the message “This is the west wing”. A little something to make you smile as you look out of the window. The advertising on the headrests was not for the in-flight peanuts and gin and tonic. It was for the Icelandic clothing company, Cintamani. 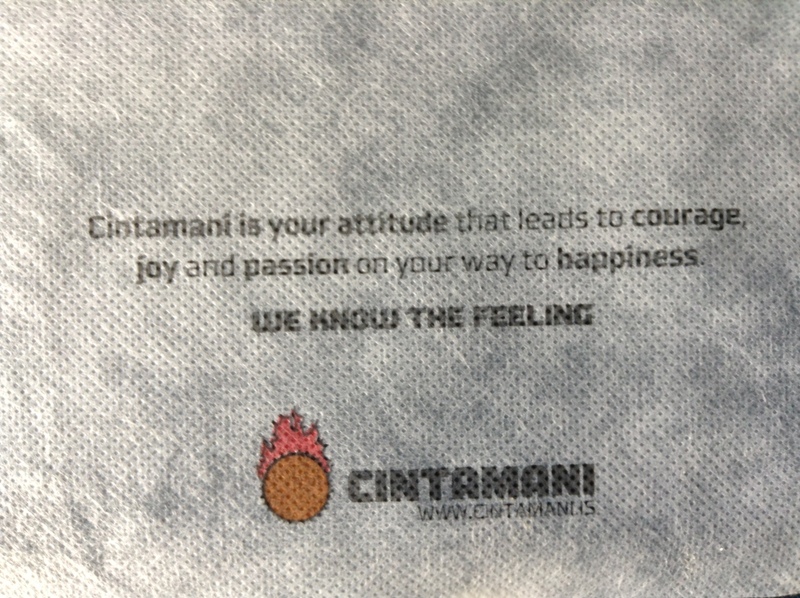 It read “Cintamani is your attitude that leads to courage, joy and passion on your way to happiness”, and signed off with the strapline “We know the feeling”. What a positive brand message and I really felt that they did know the feeling. That made me warm to them. Again, direct and straightforward in tone of voice. 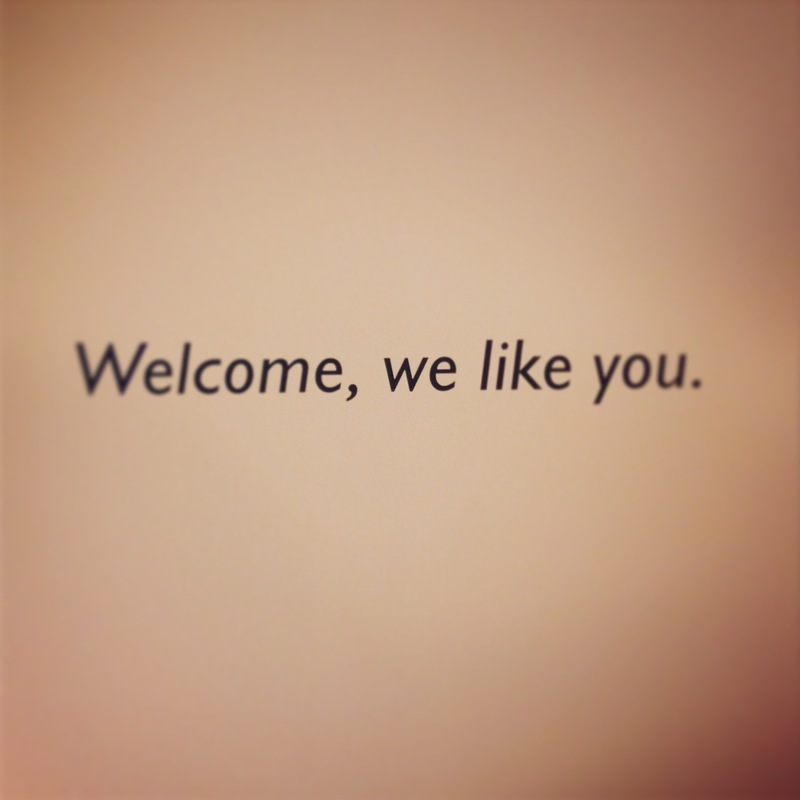 And then at the first hostel that we stayed at, the Bus Hostel, Reykavik – “Welcome, we like you”. There, on the walls. Starting from a positive. Of course, the employees need to live up to these words with matching friendliness (which they did), but these words must act for an inspiration and reminder for employees as much as a greeting to guests. We were then out to the raw nature of Iceland so didn’t come across many more brand messages. But experiencing some of the force of the weather that Icelanders have to deal with – in the form of sandstorms and gale force winds that blew out car windows (fortunately not ours) – I began to get a sense of where such a tone of voice might come from. The farmer who owned the hostel where we took shelter in the midst of the gale was direct in his speaking – his words ran along the lines of “you are safe, that’s the most important thing that matters, why are you worried about your car”, when we tried to ask if there was somewhere else to park it. Fair enough. When you truly are at the mercy of the elements whether wind or volcano, then I imagine that you learn to value what’s important. I was also reminded that tone of voice is not just what you say. In Selfoss, the green traffic lights have smiley faces – and the red ones do too. “Without my imagination, I couldn’t go anywhere”. Vigdis Grimsdottir, Z: A Love Story. I think my imagination will take me back to the Icelandic landscapes. Have you come across a tone of voice of a country that has struck you? Please share. This entry was posted in Uncategorized and tagged branding, Cintamani, Iceland, supercollider, tone of voice, WOW Air on September 27, 2013 by Olivia. What will 9 billion sustainable lifestyles look like in 2050? In 2050, there are going to be 9 billion people on the planet, according to current projections. And the choice that we have is what we kind of sustainability we want because as Dr Alan Knight has said ‘sustainability is inevitable… unsustainability is unsustainable’. What is your vision for 9 billion sustainable lifestyles in 2050? Who needs to be leading this vision – and action towards this defining this vision? What would be your 10 focus points for a sustainable lifestyle? This entry was posted in Uncategorized on July 29, 2009 by osprinkel. The questions that we ask determine the stories that we create, tell and live. The stories that we share reveal our underlying values. Our values, in turn, shape the questions that we ask. It is now frequently being said that we need to look again at the questions that we are asking, create new stories and get back in touch with the values that matter to us. In order to do this, we need to learn to ask the big questions, which will unlock the powerful stories, and enable us to share a common ground of values. to generate ongoing action based on a collective sharing and understanding of values. These are the activities that we need to be engaged in if we are going to meet the challenges that we currently face, such as ensuring that every business, organisation and community is in carbon descent in the next 700 days. Below, I will explore each of these three areas, their inter-connection and how they are key to driving action. “If I had an hour to solve a problem and my life depended on the solution, I would spend the first 55 minutes determining the proper question to ask, for once I know the proper question, I could solve the problem in less than five minutes”. (Albert Einstein). Einstein knew a thing or two about solving problems. Yet asking penetrating questions is frequently overlooked in the rush to get to answers – even if the answer won’t be clear because the question is not clear. In their paper, ‘The Art of Powerful Questions’, Eric E. Vogt, Juanita Brown and David Isaacs give examples of powerful questions, and the key outcomes that resulted from those questions. Watson and Crick asked the question ‘What might DNA look like in 3D form?’. The outcome was the discovery of the double helix. Ray Kroc asked ‘Where can I get a good hamburger on the road?’. The outcome was the creation of McDonalds. Powerful questions are the drivers of innovation. We need to become skilled in asking these powerful questions if we are going to make the shift that is required in the way that we live and the way that we do business. Marilee Goldberg in her book, ‘The Art of the Question’ said ‘A paradigm shift occurs when a question is asked inside the current paradigm that can only be answered from outside it’. Dr Alan Knight, founder of Singleplanetliving.com and a member of the Sustainable Development Commission, spoke at the Goodenough College Challenge of Sustainability conference on June 13th 2009. He said that the question that was going to be asked at the Copenhagen conference in December was ‘How can we reduce our carbon impact by 80% by 2050?’ However, simply doing less of what we are currently doing is not going to achieve the levels of carbon reduction that are required. He therefore posed a new question, ‘What do we want 9 billion sustainable lifestyles to look like in 2050?’ There is currently no vision for what 9 billion sustainable lifestyles will look like. Surely, if you are embarking on a strategy, you would have a vision of what you are setting out to achieve? How can we undertake a mission of this size, without having a vision? The major piece of the jigsaw is missing. The nature of the question determines the level of engagement as well. What story would you prefer to hear – or tell – or act on: the story of how to reduce carbon use by 80%, or the story of 9 billion sustainable lifestyles? What appeals to the imagination about either of those questions? The story of 9 billion sustainable lifestyles grabs my interest because of the human aspect. Do you know what the secret to the Obama campaign was? Stories. And it wasn’t the Obama story parroted by people up and down the country. It was individuals telling their own story and answering two questions: ‘Why are you here?’ (taking part in the Obama campaign). And ‘what matters to you?’ Obama Camp trained the volunteers who mobilized the volunteers at grassroots level. The first thing that volunteers learned how to do was to tell their own story in two minutes. If they could tell their own stories powerfully, about what had moved them to become part of the campaign, then they in turn could motivate and inspire others to get involved. If powerful questions are under-utilised, then stories are absent too. We need to begin sharing our stories with each other as a way of explaining why issues are important to us, and setting the context for the action that we are taking, if we are going to inspire others to do the same. To be reminded of the power of story in action, watch Obama’s speech to the Democratic National Convention in 2004 – he seamlessly links personal story, with wider values, with the challenges faced by the country, with the urgency of a call to action. Marshall Ganz was one of the architects behind the 2008 Obama campaign, and you can hear him talk about the principles behind the campaign and the importance of stories in this video. If we share stories about why we are taking action, then we are at the same time sharing the values which are driving our action. A shared sense of values is more likely to result in ongoing action, as the values provide a deep-seated foundation. As we go through the cycle of questions, stories, values, the questions will begin to change and become more powerful as we reconnect with our values and what is important to us. And our actions will grow in power too. This entry was posted in Uncategorized and tagged action, Marshall Ganz, Obama, questions, stories, values on June 17, 2009 by osprinkel. What are you doing for the next 700 days? I was fortunate enough to be able to attend the Hay Festival at the end of May. Known originally for being a literature festival, it has broadened into a wider festival of ideas. And, for the second year, the Festival welcomed Hay on Earth. Hay on Earth is an innovative type of conference, bringing experts and stakeholders from a diverse range of organisations together and using systems approaches to create practical plans and projects to tackle climate change, carbon reduction and the need to build security of food supply. Andy Middleton of TYF/EcoSapiens who ran the conference emphasised the importance of asking powerful questions – a subject that I will return to in a later post. Andy effectively focused our attention on the task at hand by pointing out that every business, organisation and community in the UK needs to be in carbon descent by 2012. That equates to about 700 working days away. And there is no plan. So my question is – ‘What are you doing for the next 700 days?’ A washing line hung at the back of the stage, with markers from now to 2012, provided an effective, mind-focusing backdrop, as we worked on generating ideas on how we could effectively engage communities in action. And at the end of the two days that I attended, we hung our ‘to dos’ on the washing line. 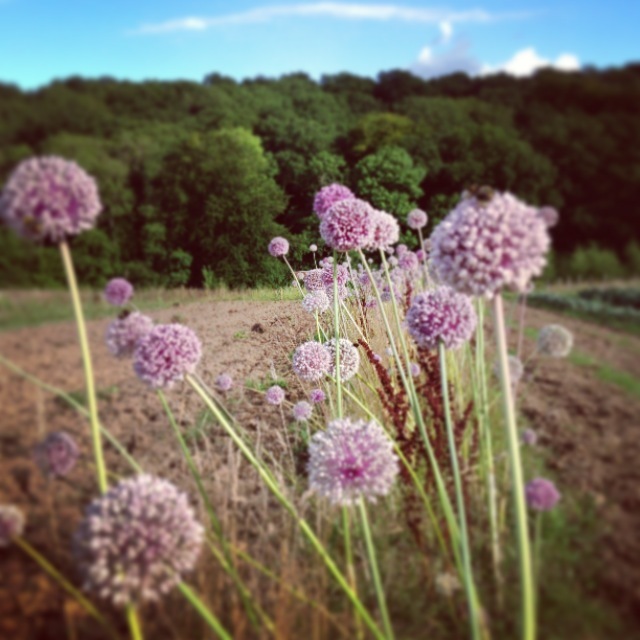 Ideas ranged from allotment projects to ‘community chests’ to fund social enterprises to hubs to facilitate connections. One of the key themes that emerged for me that was that in order to effectively engage communities, there needs to be a sense of community built on shared values in the first place. Again, I will return to this theme. One project that is in place already is Green Valleys, which aims to enable community groups across Wales to reduce their carbon emissions and generate electricity and revenue from hydro power, one of the most abundant natural resources. Here’s to many more innovative projects such as this in the next 700 days. This entry was posted in Uncategorized on June 11, 2009 by osprinkel.